Albion have bolstered their goalkeeping options by snapping up free agent Jonathan Bond. 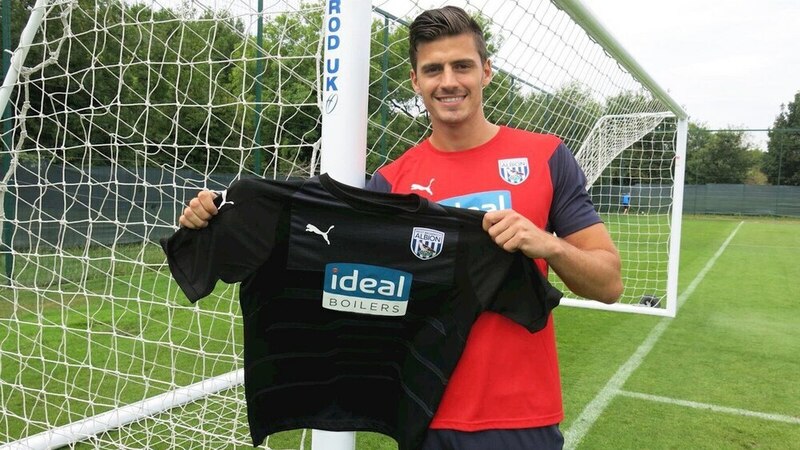 The 25-year-old, who was released by Reading this summer, has signed a two-year contract with the Baggies. A former England under-21 international, Bond has joined the club to provide back-up and competition for Sam Johnstone, who signed from Manchester United for £6.5m. Albion’s goalkeeping coach Neil Cutler is also hoping to add a third goalkeeper to his ranks this summer, and the Baggies are in talks with Sheffield United over a deal for Simon Moore. “I want a group of three competitive keepers who are driven, athletic, eager, quick and able to push each other in every session of every day,” said Cutler. “I have tracked Jonathon’s career through from his involvement in the England set-up and he’s one who has got real potential. “We need to work on that fine detail now, He’s dropped off the radar a bit but he wants to learn and work and push on. Bond, who trained in Scotland with the senior squad last week, is due to feature in this Friday’s pre-season friendly at Aberdeen. He came through Watford’s academy system before joining Reading in 2015. He spent the first half of last season on loan at League One Peterborough. “This is a Premier League club and that’s what we’ve got to concentrate on, getting ourselves back up there,” said Bond. Cutler is hoping to add a third goalkeeper to his unit this summer, and is keen to get 21-year-old academy product Alex Palmer out on loan in the Football League. “He needs that run of games now in the League to help his development,” said Cutler.